Some wit referred to this as the Elephant Stone. I don’t know if that’s an “official” name but to me, it’s a complete misnomer. It looks nothing like an elephant and that is in spite of a strategically placed climbing hold as an eye, and some carved voracious teeth. Teeth, on an elephant! It can be found on Hasty Bank, just east of the Wainstones. 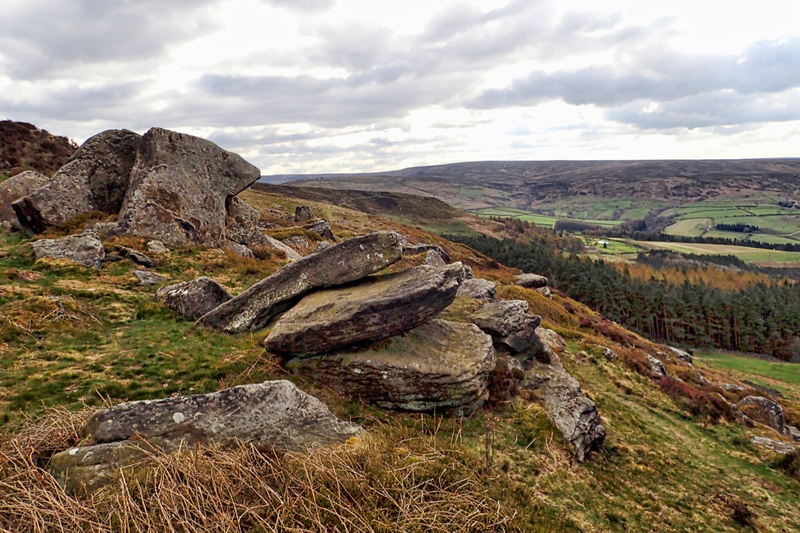 The valley on the right is the top of Bilsdale. I know it as the Dinosaur Stone, but you’re right.